My Sephora purchases have only increased since becoming a VIB!! From August 12-18th Sephora had a promotion offering double points for Beauty Insiders, triple points for VIBS, and quadruple points for VIB Rogue Members! 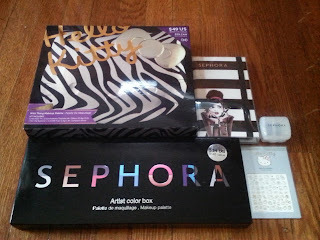 No surprise that I took advantage and made a few Sephora purchases! Here's the first of three purchases I made during the promotion!! 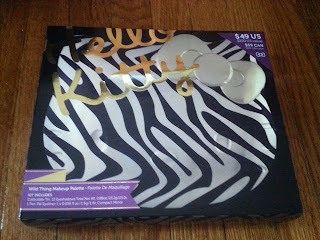 My sister loves Hello Kitty, so I picked up this palette for her birthday next month. 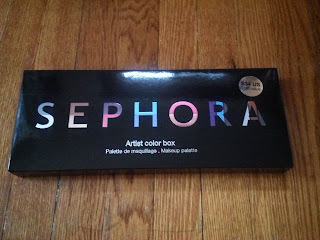 I was debating between this one and the Hello Kitty Tokyo Pop Eyeshadow Palette, but decided on this palette due to the size and value. It comes with 12 eye shadows, complimentary eyeliner, and matching mirror! It's too cute and she can save the tin it comes in after she's used up all the makeup! 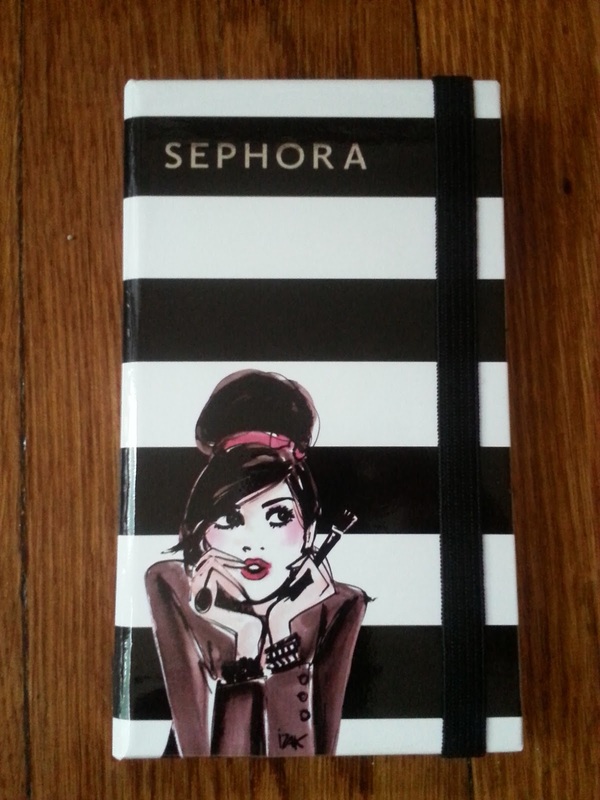 I just love this palette design-the notebook style is so creative!! This will be my first time trying baked eyeshadow, so I'm super excited! Plus this will be a great palette to carry in my handbag!! 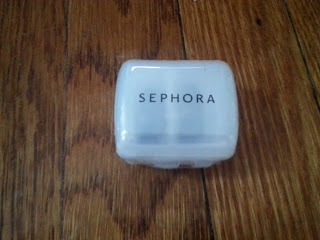 This will be a great sharpener to store in my makeup bag! Plus the design is perfect for travel!! 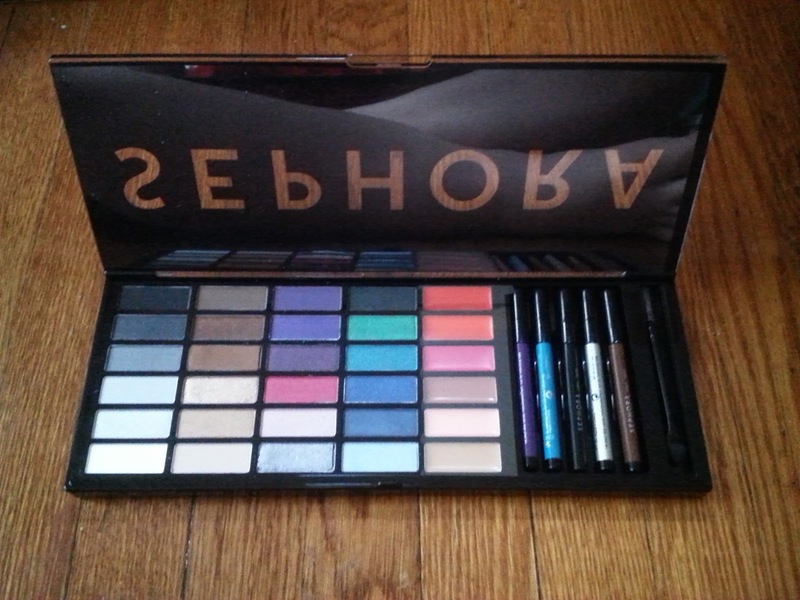 This palette looks awesome!! 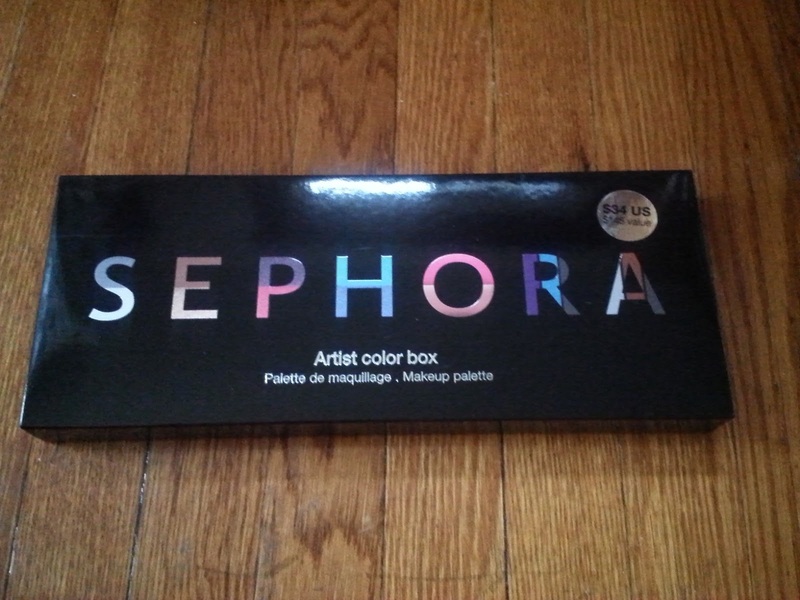 It contains 24 waterproof eye shadows, six lip glosses, five eye pencils, and a double-ended applicator brush. I plan to do a follow up post with swatches!! 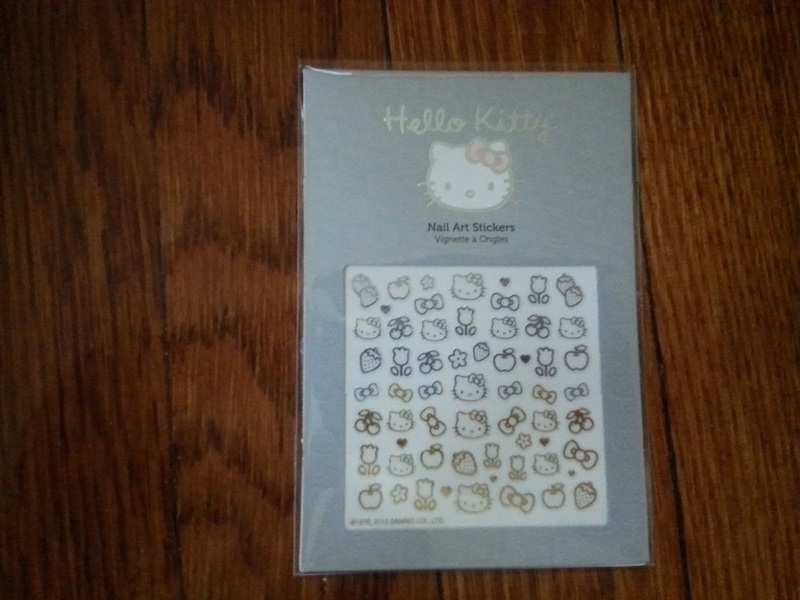 I'm also a Hello Kitty fan and want to get more into nail art. I thought these stickers were too cute and would be an easy way to decorate my nails! 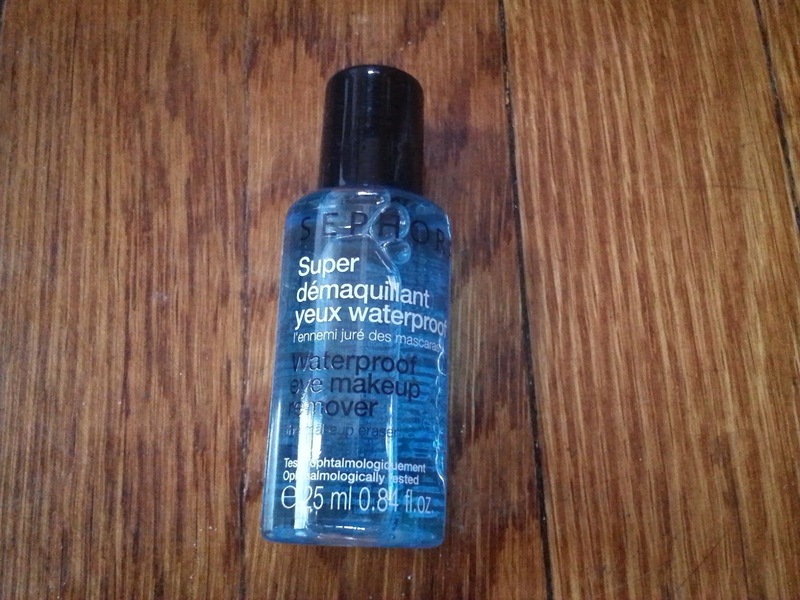 I use makeup remover on a daily basis, so I will get a lot of use out of this! Plus the size is perfect to store in my makeup bag!! 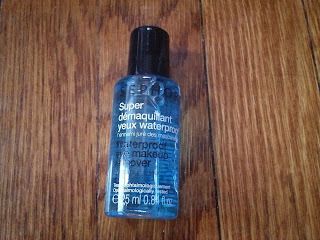 Urban Decay is one of my new favorite brands, so I'm stoked to try this makeup sample! 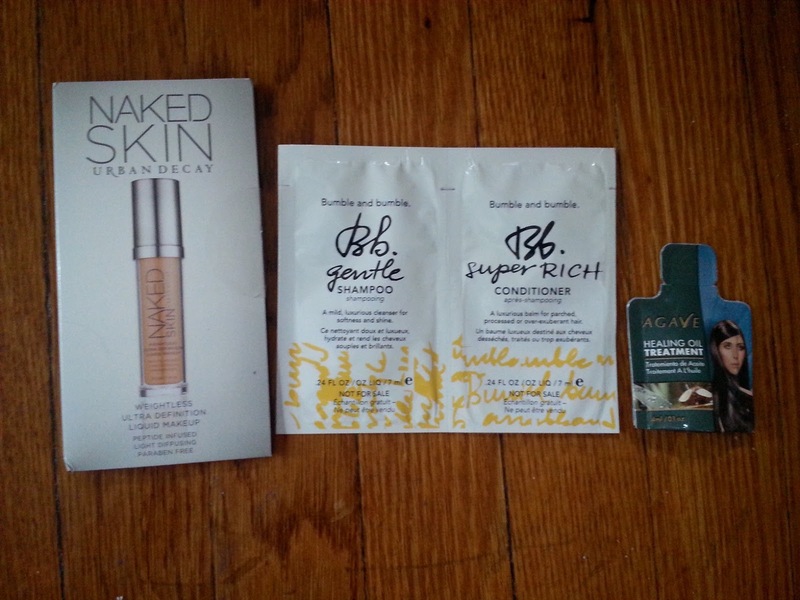 And I love hair product samples since I buy hair products less frequently than makeup. 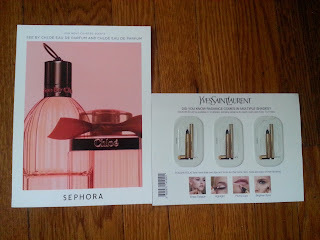 Sephora threw in a couple extras which is always appreciated!! 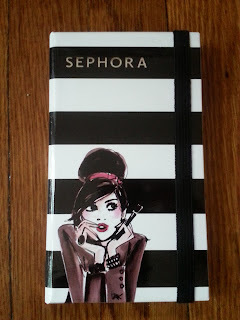 This is the first time that I've redeemed my reward points-Sephora had some fantastic rewards!! I've been eyeing some of Alterna's Caviar hair products, so I'm stoked to get my hands on their CC Cream! I was also thrilled to grab a Deborah Lippmann polish since I've been dying to try her polish since I've seen swatches of The Mermaids Collection! 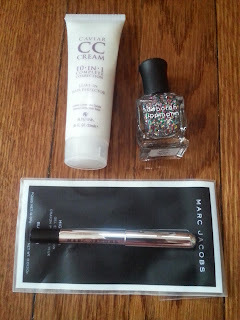 I was a bit bummed to miss out on the deluxe sample of the Kat Von D Tattoo Liner, but I picked up the Marc Jacobs Gel Crayon in it's place. 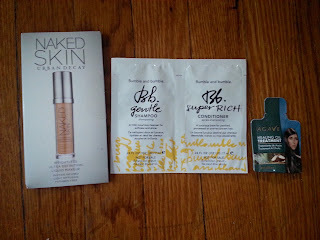 I was ecstatic to have the opportunity to try out this brand new beauty line! And I love the eyeliner-it glides on smoothly and has intense color payoff! Do you like to use makeup palettes or individual cosmetics? If you use palettes, do you come up with looks using just the colors in a single palette or do you combine multiple palettes to create the perfect look?